During the winter, my skin gets incredibly dry. No matter how much focus I put on keeping it hydrated, I find that it's definitely a lot drier than the rest of the year and I need little extra pick me ups throughout the day or else my makeup ends up looking like makeup. Know what I mean? No one enjoys having dry patches on their face that are highlighted by caked up makeup. For me, the best way to the combat this is to use a good hydrating mist throughout the day to freshen up my makeup and make everything look just a little bit more seamless on my skin. 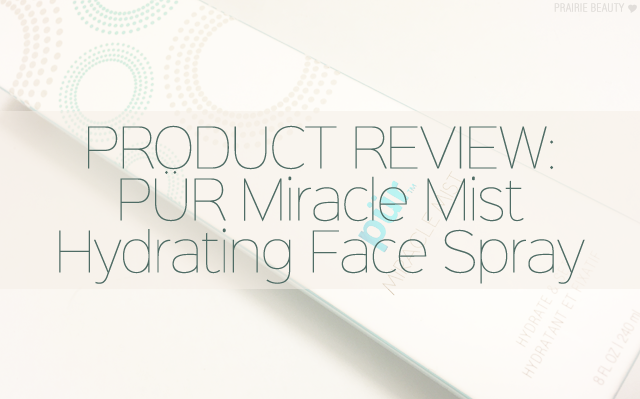 I've been wanting to try the PÜR Miracle Mist Hydrating Face Spray for a while now, but I just hadn't gotten around to picking it up until recently when I had a Shoppers Drug Mart gift card to spoil myself with after Christmas. I've been using this for about a month now fairly consistently and I'm ready to give you my thoughts! 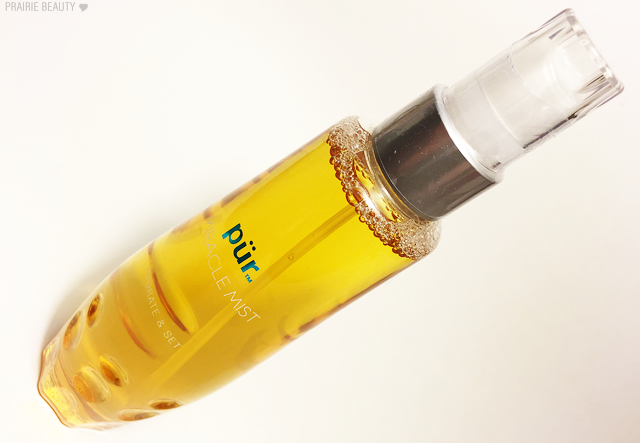 Meet your skin's miracle in a bottle! 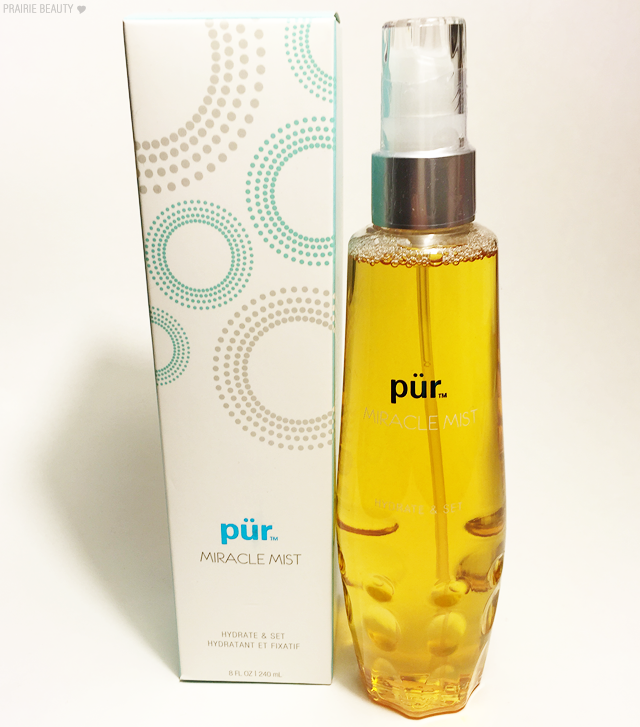 Miracle Mist hydrating face spray (formerly named Fulvic Mineral Mist) instantly moisturizes dry, tired and stressed skin with more than 70 essential vitamins, minerals, antioxidants and amino acids. 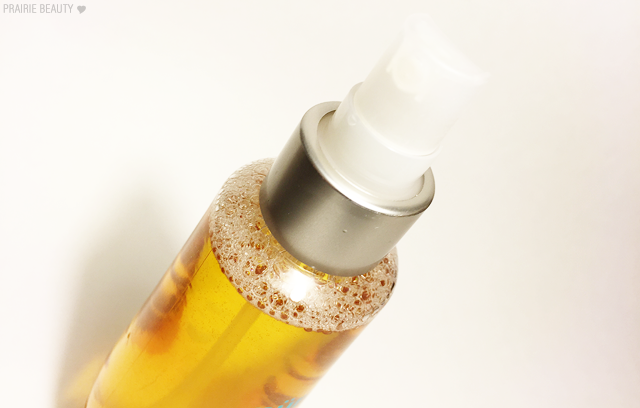 A favorite among professional makeup artists, this super-hydrating skin quencher also works as a setting spray and helps set mineral makeup for long-lasting perfection. First off, I think this is a really great price point. I picked up this 8oz bottle for right around $20, which puts most of the other setting sprays and face mists that I've used in the past to shame - even the drugstore ones. Now, I wouldn't put this in the same category as something like an Urban Decay All Nighter, which I find really sets my makeup and prolongs the wear significantly. For me, this is more of a mist that sets it in that it takes away any powderiness or dry look to your skin and gives your makeup a more natural appearance. For my winter skin, this is exactly what I need. Also, can we just take a minute to enjoy how pretty this bottle is? There's something about having it on my vanity that I just love, because it looks really pretty and a little bit luxurious there, even though the bottle is plastic. But really... You can't expect glass at this price point. You can't even expect glass at a much higher price point for this volume of product, if you ask me. Bottle = pretty, that's all. So. I love this stuff. I feel like I should just put that out there. It has a fresh, citrusy scent that really helps to kick me into gear in the mornings when I'm feeling a little bit sluggish, which I clearly love. Haven't noticed any overall skin benefits other than the instant freshening, but wasn't really expecting to. It also really helps to take away any powdery appearance my skin has after I've finished my makeup and gives my skin a healthy, hydrated appearance. While I haven't noticed it prolonging the wear of my makeup at all, I do find that it freshens up the appearance of it if I give my face a quick mist throughout the day. Overall, this is a winner for me and I'm really glad that I bought it.